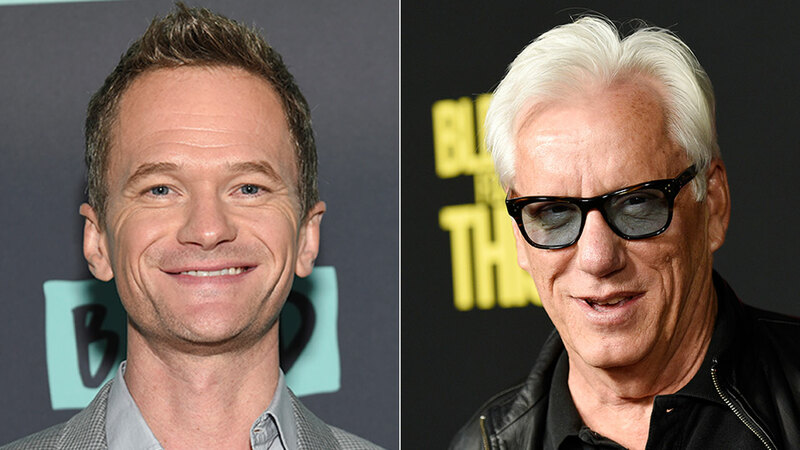 Actors Neil Patrick Harris and James Woods engaged in a Twitter feud this week over an Orange County family's picture of their son at a gay-pride parade. The original photo shows the parents with their 10-year-old son holding signs that say "I love my gender creative son!" and "My son wears dresses & makeup...get over it!" Woods, who has appeared in dozens of films and TV shows since the early 1970s, is known for supporting conservative viewpoints on Twitter, where he has more than 723,000 followers. He commented on the photo: "This is sweet. Wait until this poor kid grows up, realizes what you've done, and stuffs both of you dismembered into a freezer in the garage." That triggered strong reactions on both sides, with one of the most prominent coming from Harris, who is openly gay and has 26.9 million followers on Twitter. He responded: "Utterly ignorant and classless, Mr. Woods. I'm friends with this family. You know not of what you speak, and should be ashamed of yourself." The exchange has sparked an angry debate online, in tens of thousands of retweets, likes and comments. Faced with the backlash, Woods did not back down, insisting that his comment was not based on homophobia, but on parents using their child as a propaganda tool. "Using one's child as a social justice propaganda doll is tantamount to child abuse," Woods tweeted. "This is not about homophobia. Nice try though..."
He added: "For the record I have supported human rights of all stripes and persuasions, colors, creeds, choices and preferences my entire life. Period." He also tweeted "Some children can be ruthlessly cruel to children who are simply different in any way. I humbly suggest making your child a target is unwise." And added: "I spent my entire adult life in the New York theatre scene, kids. I have more gay friends than Liberace. So let's stop the homophobia train." The mother in the original photo, Lori Duron, maintains a blog titled "Raising My Rainbow - Adventures in Raising a Fabulous, Gender Creative Son." She's also written a book with that title, with a foreword written by Harris. Duron told People magazine that Woods' tweet was "shocking" and said the actor was "hugely misinformed." "We've spent seven years sharing our journey to the public," she told the magazine. "LGBTQ youth don't hurt their parents, they hurt themselves. We're trying to raise our son in way that he doesn't fall into those behaviors. His tweet was so uninformed. LGBTQ youth do not kill other people, they kill themselves." "I feel like adults should know better," she added. She also said her son CJ is not transgender, but is a boy who wants to be treated like a girl.